During your visit you will have a one-on-one meeting with an Admission Counselor to discuss admission, scholarships, and financial aid. 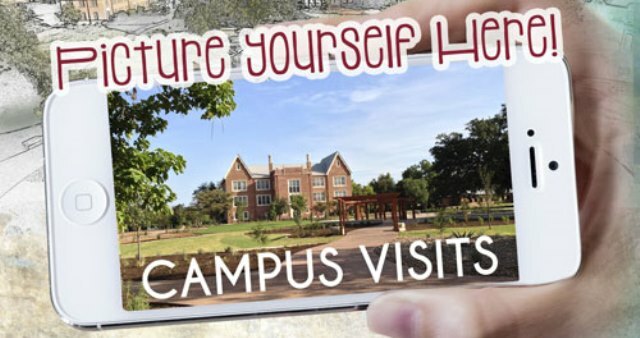 You will also take a tour of the campus with a Schreiner Ambassador who will be able to share their experiences about SU while showing you classrooms, dining options, freshman housing, and other great facilities. Campus tours are offered Monday through Friday at 10:00 a.m., 1:00 p.m., or 3:00 p.m.
Campus tours are offered at 10:30 a.m. only on select Saturdays in the spring. To sign up for a Saturday tour, please visit: https://schreiner.secure.force.com/events. Please note that meetings with professors are not available on Saturdays or during school vacations. Meetings with coaches can also be limited due to their recruiting, practice and game schedules. Please schedule your tour at least one week in advance. Who else should receive a tour confirmation? What major/program are you considering? Please choose your top three tour time preferences in order for our team to best accommodate you. Tours are offered Monday through Friday at 10 AM, 1 PM, and 3 PM. Once confirmed, you will receive an email with the details and schedule of events. Please select... 10:00 A.M. 1:00 P.M. 3:00 P.M. Please note that classes will not be available December 1st - January 31st or May 1st - August 31st due to class finals and student vacations. Professors and coaches will also have limited availability during those times. If you have any questions, please contact us at (830) 792-7217. Are you interested in meeting with a professor, if available? Which subject would you prefer? Are you interested in meeting with a coach, if available? Any special accommodations that you or your family need during the approx. 1 mile walk around campus (ex. mobility issues, hearing impairment, vision impairment, etc)?